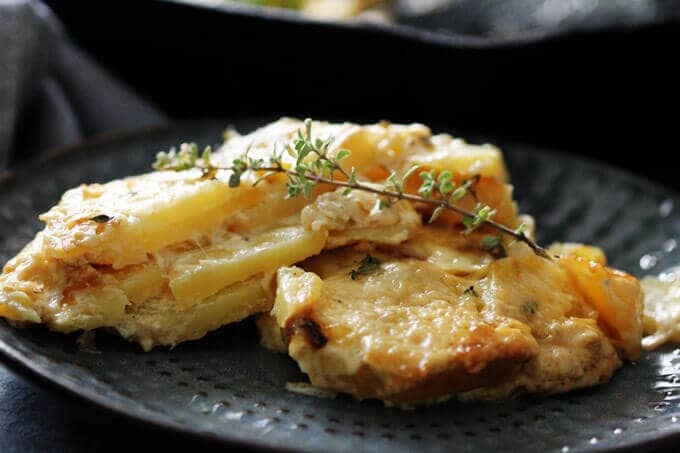 Potato Leek Casserole is made with sliced potatoes, garlic, saute leeks, a combination of cream and Gruyere cheese and is baked to perfection. 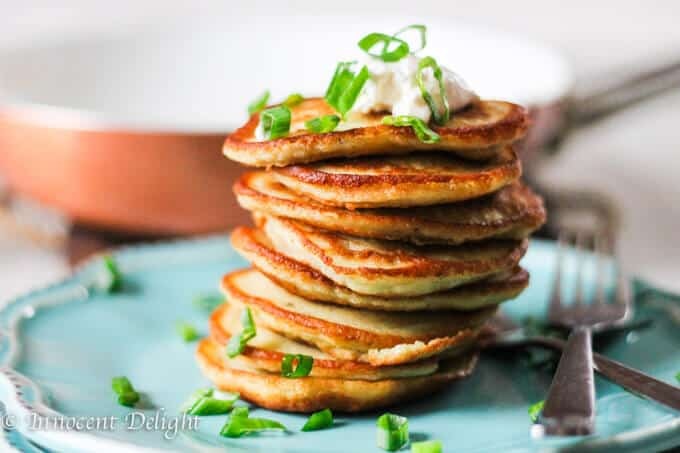 Potatoes and leeks are a match made in heaven…like cookies & milk, like peanut butter & chocolate, like cheese & wine, like champagne & strawberries….but I digress. All right, so you’ve got my point? They just work perfectly together. When you add Gruyere cheese and heavy cream to them, it seemingly amplifies an already perfect marriage of flavors. I’m sure you’ll agree once you try this potato leek casserole. 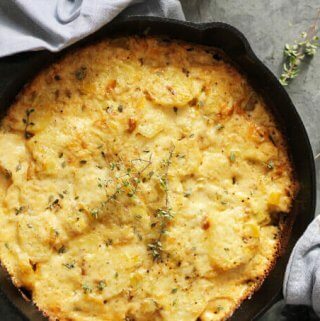 How to make this Potato Leek Casserole? 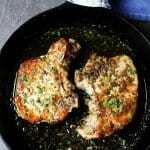 Heat up 2 tablespoons of butter in a skillet; add chopped and cleaned leeks, and cook until soft (about 10 minutes). Add 2 cups of cream, salt, and pepper; and cook until it thickens up slightly (about 3 minutes). Peel the potatoes (Russet potatoes work great, but yellow are fine too). Using either a knife or mandolin, cut the potatoes into thin slices. Rub a separate cast iron skillet (affiliate link) or casserole dish (affiliate link) with garlic and spread with 2 tablespoons of butter. Place the first layer of potatoes down; cover with a third of leek/cream mixture, and top with a half cup of Gruyere. Repeat process with two more layers and all remaining cheese. Cover with foil and place into a 350° preheated oven. Bake, covered, for 40; then remove foil and bake for another 10 – until the cheese is golden and bubbly. 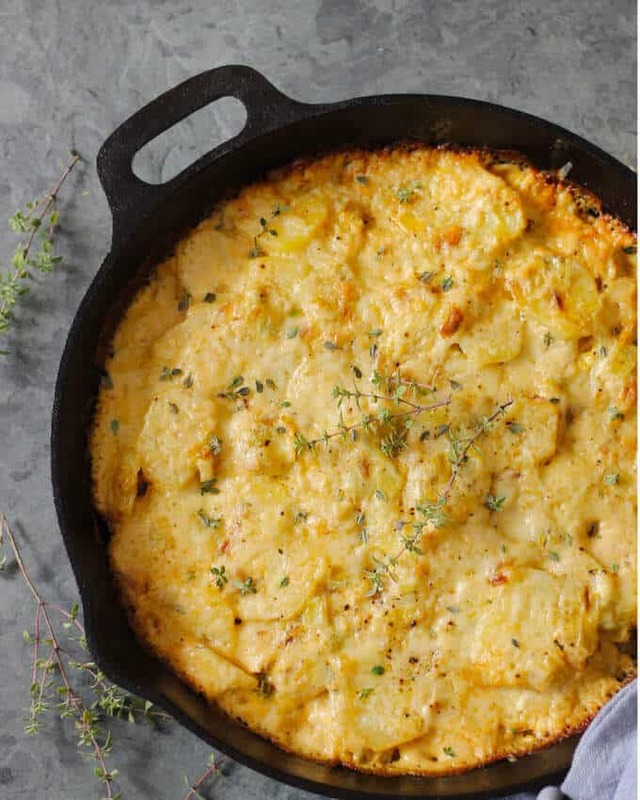 Scroll down for the full printable recipe of this wonderful potato leek casserole. 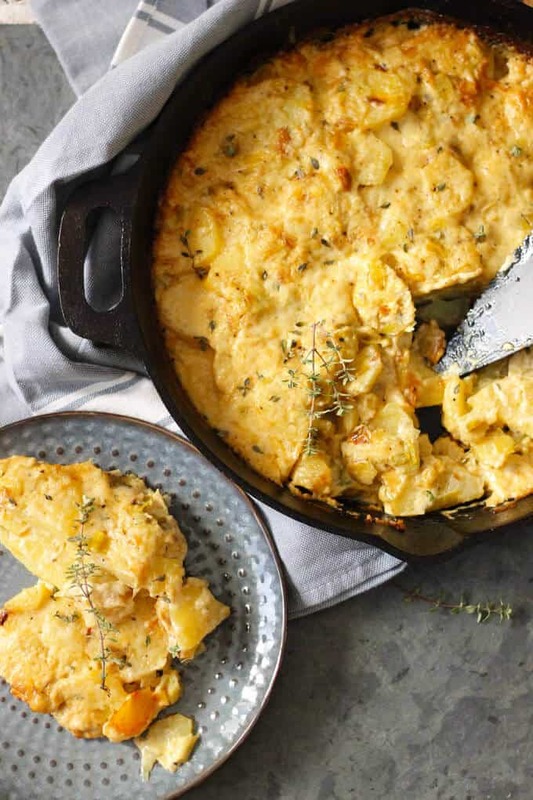 What to serve this Potato Leek Casserole with? The best part of this dish is that it’s super versatile. 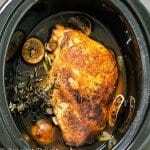 It can be served with many different kinds of dishes – like meat, fish, or vegetables. 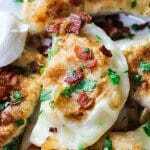 It can act as a side dish or vegetarian entree. 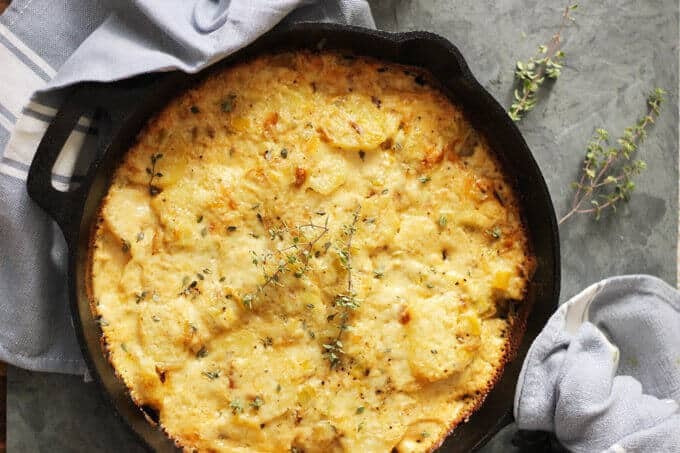 This potato leek casserole is elegant and can serve as a perfect side dish for your next holiday’s festivities. How does this Potato Leek Casserole taste? While the name suggests that this soup has French origins, Julia Child actually calls it “an American invention.” While the origins of this soup are in question, what is not is its flavor. My point here is that this soup is super delicious. I often make it for my son. When he was a little over one-year-old I had sent it to his daycare for lunch. When I returned that day, one of the teachers was amazed and said that while she didn’t know what was in this soup, it was apparent that my son loved it and acted as he wanted even more. For those of you who are familiar with the taste of the classic Vichyssoise soup, then I suggest you envision it with cream and cheese; and in so doing you’re now imagining the taste of my potato leek casserole. It is heaven on earth! It’s like elevated scalloped potatoes. I encourage you to try and let us know how you liked it. 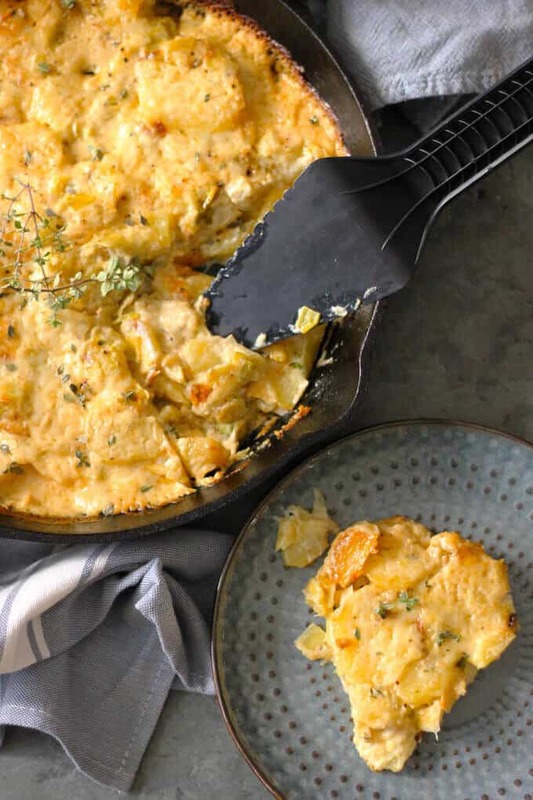 This side dish is made based on Julia Child's Potato Dauphinois Gratin but has a twist of the addition of sautéed leeks and resembles in taste the famous Potato Leek Soup; This casserole is full of flavor with garlic, cream, Gruyere cheese, and thyme. It's rich, decadent and elegant at the same time. 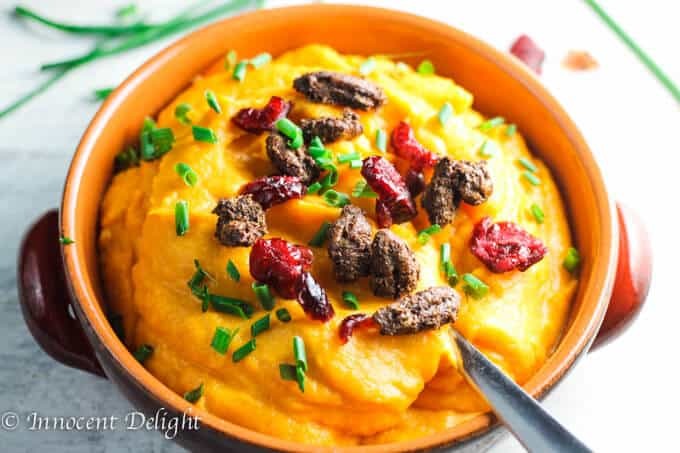 It can be served as a perfect side dish for any Holidays or other gatherings. Then remove the foil and bake it for another 10 minutes until the cheese is golden and bubbly. 2. If you cannot find Gruyere or you don't want to use it as it is pretty pricey, you may substitute with Cheddar or other well-melting cheese. Looks amazing! You had this Irish girl at potatoes! Your description of this meal has my mouth watering! 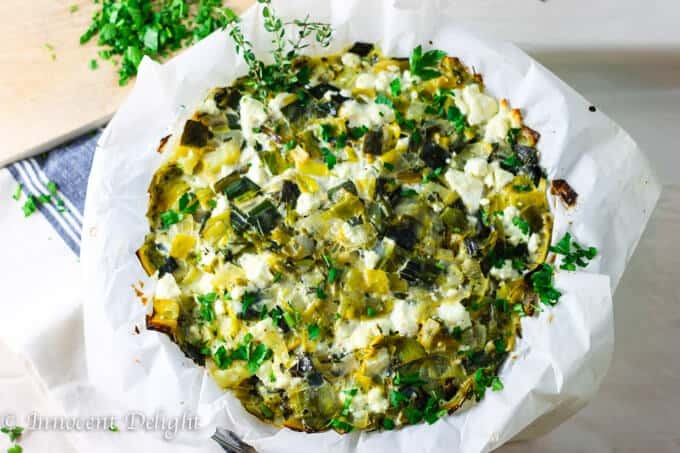 The pictures emphasize the delicious cheesiness of this amazing dish – I think I’d make a meal of it, nothing else needed – YUM! The pictures are making me drool! It looks so delicious. 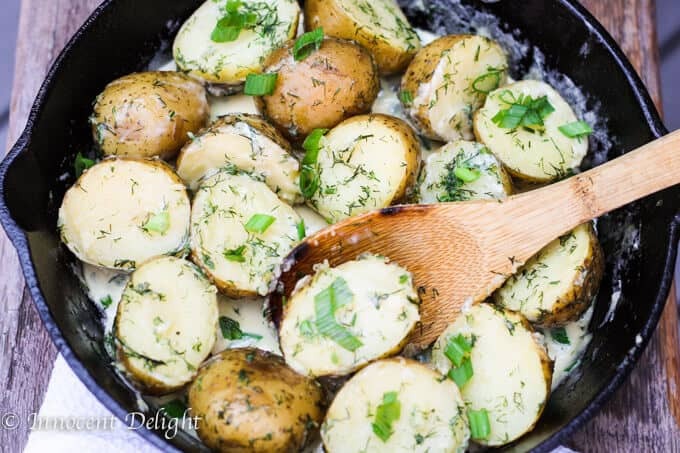 Leeks and potatoes are definitely a match made in heaven and the Gruyere cheese makes it even better! Lov that you used Gruyere in this dish, I bet it adds such a great nutty sweet favour… Such a great melting cheese, a super recipe. This sounds super rich and indulgent. I think I could happily eat this for supper along with a pile of crisp green salad leaves and be more than content. Leek and potato is one of my favourite combos in the whole world, and normally, that is my ‘go-to’ soup, but after seeing this casserole, I think I will switch… 🙂 Pychota! You will love it! Pychotka….